Health professionals, cancer clinicians and clinical scientists, scientists working in cancer, representatives of pharmaceutical companies involved in oncology, policy makers, post-doctoral researchers within medicine and science will benefit from participation in the conference. The conference has been approved by the Royal College of Physicians of Ireland for 12 CPD credits. 1 CPD credit is equivalent to 1 hour of educational activity. There is one major international airport in Dublin, situated approximately 10km north of the city centre. Dublin is easily accessible from the UK, Continental Europe and the east and west coast of the USA. It is also possible to get to Dublin by ferry via Hollyhead, Liverpool and Isle of Man ports in Britain. 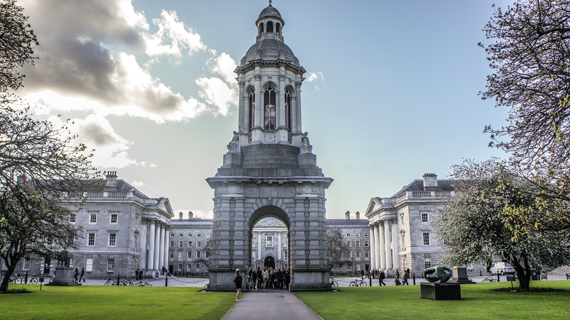 Dublin has two ferry terminals – Dublin Port, located in the city centre, is serviced by bus and Dun Laoghaire ferry terminal, south of the city, is easily reached by a 20 minute car or DART train journey. Conference dinner is not included in the conference registration fee and needs to be booked separately. The dress code for the dinner is business attire. Established in 2013, the Burkitt Medal is designed to recognise people with the integrity, compassion and dedication matching that of Denis Burkitt, a Trinity graduate, who is known for his discovery of Burkitt lymphoma. Nominees should demonstrate extraordinary achievement and advancement in the field of cancer internationally. Denis Parsons Burkitt (28 February 1911 – 23 March 1993), surgeon, was born in Enniskillen, County Fermanagh, Ireland. He was the son of James Parsons Burkitt, a civil engineer. Aged eleven Denis lost his right eye in an accident. He attended Portora Royal School in Enniskillen and Dean Close School, England. In 1929 he applied to Trinity College Dublin to study his father’s profession, engineering, despite a tutor writing to his father expressing doubts if Burkitt would be capable of earning a degree. During his first year at Trinity he joined Room 40, a small group of undergraduates, who met regularly for prayer and Bible study, and committed his life to Jesus Christ. His religious convictions would be a driving force for the rest of his life. Soon after his commitment to Christianity, he felt that God was calling him to devote his life to medicine. He changed his study to medicine and graduated with his MB on 5 July, 1935. After graduating from Trinity College Dublin he continued his surgical training and obtained Fellowship of the Royal College of Surgeons in Edinburgh in 1938. He went on to write his MD entitled ‘Spontaneous rupture of abdominal viscera’ in 1947. While serving as a ship’s surgeon in 1938, Burkitt decided he would be a surgeon first and a missionary second and hoped to work with the Colonial Service in West Africa. During his five-year sojourn as an army surgeon during World War Two, he married Olive Mary Rogers, a trainee nurse he had met while working as the Resident Surgical Officer at the Prince of Wales Hospital in Plymouth. Denis and Olive had three daughters Judy Howard, Cas and Rachel. Despite having his application to the Colonial Office being turned down on account of his loss of sight, Burkitt passed a medical and enlisted into the Royal Army Medical Corps. He was posted to a military hospital in Mombasa. 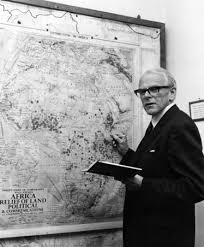 Burkitt 'made two major contributions to medical science related to his experience in Africa. The first was the description, distribution, and ultimately, the etiology of a pediatric cancer that bears his name Burkitt's lymphoma'. Burkitt in 1957 observed a child with swellings in the angles of the jaw. Having an intensely enquiring mind, Burkitt took the details of these cases to the records department, which showed that jaw tumours were common, were often associated with other tumours at unusual sites in children in Uganda. He kept copious notes and 'concluded that these apparently different childhood cancers were all manifestations of a single, hitherto unrecognized tumour complex'. Burkitt published A sarcoma involving the jaws of African children. The newly identified cancer became known as 'Burkitt's lymphoma. He went on to map the geographical distribution of the tumour. Burkitt, together with Dr Dennis Wright, published a book titled 'Burkitt's Lymphoma' in April 1970. His second major contribution came when, on his return to Britain, Burkitt compared the pattern of diseases in African hospitals with Western diseases. He concluded that many Western diseases which were rare in Africa were the result of diet and lifestyle. He wrote a book Don't Forget Fibre in your Diet, which was an international bestseller. Although one study showed that people who eat very low levels of fiber—less than 10 grams per day—had an 18 percent higher risk of colorectal cancer, the more general idea that colon cancer is a fiber deficiency disease is now generally considered incorrect by cancer researchers. Nevertheless, research suggests that a diet high in dietary fiber is advised as a precaution against other diseases such as heart disease and diabetes. He had an alternative theory, published in numerous articles and books, that the use of the natural squatting position for defecation protects the natives of Africa and Asia from gastrointestinal diseases. Burkitt was president of the Christian Medical Fellowship and wrote frequently on religious/medical themes. He received the Bower Award and Prize in 1992. He died on 23 March 1993 in Gloucester and was buried in Bisley, Gloucestershire, England. Mariano Barbacid is AXA-CNIO Professor of Molecular Oncology at the Spanish National Cancer Research Centre in Madrid. Born in Madrid, Mariano Barbacid was awarded his PhD from the Universidad Complutense in 1974. Having trained as a postdoctoral fellow at the National Cancer Institute (NCI), Bethesda, Maryland, USA, in 1978 he started his own group to work on the molecular biology of human tumours. Dr Barbacid’s work led to the isolation of the first human cancer gene, H-RAS, in the spring of 1982 and to the identification of the first mutation associated with the development of human cancer. These findings, also made independently by two other groups, have been seminal to establish the molecular basis of human cancer. Dr Barbacid’s achievements have been recognised widely. In 2012, he was inducted to the National Academy of Sciences of the US as a Foreign Member and in 2014, elected Fellow of the AACR Academy. He holds three Honorary degrees, and apart from being acknowledged for his achievements in Spain, Dr Barbacid received several international awards including the Steiner Prize (Bern, 1988), Ipsen Prize (Paris, 1994), Brupbaher Cancer Research Prize (Zurich, 2005), the Medal of Honour of the International Agency for Cancer Research (Lyon, 2007) and an Endowed Chair from the AXA Research Fund (Paris, 2011). He has received two Advanced Grants from the European Research Council since their inception in 2008. To date, Dr Barbacid has authored a total of 300 publications, including 221 original research articles in journals with impact factor, 32 invited reviews in refereed journals and 47 book chapters. Paul Brennan is the Head of the Genetics Section of the International Agency for Research on Cancer (IARC), Lyon, France. IARC is the specialised cancer agency of the World Health Organization (WHO) with the objective to promote international collaboration in cancer research. Dr Brennan's primary area of work is conducting very large multi-partner studies that aim to use genetics to understand the causes of cancer. This is done by exploring the genome of individuals who develop cancer, in order to identify clues as to why they are more susceptible. It also involves investigating the genomes of the tumours, in order to identify what triggered the tumour in the first place. His group works with colleagues in many different parts of the world, with active studies underway in central and eastern Europe, central and south-east Asia, and Latin America. Among others, Dr Brennan has collaborators in Trinity College Dublin. Dr Brennan and his colleagues at IARC have made an outstanding contribution to promoting international collaboration in the study of cancer for the ultimate benefit of those affected by the disease. Riccardo Dalla-Favera is Professor of Pathology & Cell Biology and Director, Institute for Cancer Genetics at Columbia University, New York, USA. Professor Dalla-Favera’s career started with his pioneering work on the cloning and chromosomal mapping of human proto-oncogenes, including c-MYC. This work established the basis for the seminal work on the involvement of c-MYC in chromosomal translocations in Burkitt’s lymphoma. His research has continued to yield new insights into the pathogenesis of human B cell lymphomas, and, in particular, on the identification of the genetic lesions and biological mechanisms responsible for the development of these diseases. John Ziegler, Founding Director, Global Health Sciences Graduate Program University of California San Francisco (UCSF), USA, received his undergraduate degree (BA, English Literature) from Amherst College, Amherst Massachusetts, and his MD from Cornell University Medical School in New York City. Following medical house staff training at Bellevue Hospital in New York, he joined the National Cancer Institute (NCI) in 1966, beginning a life-long career in cancer research and care. In 1967 he was assigned to begin a long collaboration with Makerere University in Kampala, Uganda, studying Burkitt’s lymphoma and other indigenous cancers. Together with Ugandan counterparts, he developed curative therapies for lymphoma and established a cancer institute that today has expanded to a major center of excellence in sub Saharan Africa. After five years Ziegler returned to NCI to head clinical oncology, and in 1981 moved to UCSF. The AIDS pandemic made its first appearance in San Francisco, heralded by opportunistic infections and two malignancies – Kaposi’s sarcoma and non Hodgkin’s lymphoma. Ziegler and colleagues made important contributions to this field both in California and back in Uganda. In his later career, earning an MSc in epidemiology from the London School of Hygiene and Tropical Medicine, Ziegler headed a cancer genetics clinic at UCSF, and most recently was founding director of a global health Master’s degree. Born in Auckland, New Zealand, Dr. Murray Brennan received a degree in mathematics from the University of New Zealand and a medical degree from the University of Otago in 1964. In 1970 he worked at Peter Bent Brigham Hospital, Harvard Medical School, and at the Joslin Research Laboratories. After residency at the Brigham, Dr. Brennan joined the National Cancer Institute. In 1981, he joined Memorial Sloan-Kettering Cancer Center (MSKCC) as Chief of Gastric and Mixed Tumor Service. Dr. Brennan was Chairman of the Department of Surgery at MSKCC from 1985 until June of 2006. He currently holds the Benno C. Schmidt Chair in Clinical Oncology and is Director of the International Center and Vice President for International Programs at MSKCC. He has lectured throughout the world and authored and co-authored more than 1,000 scientific papers and book chapters focusing on surgical oncology, endocrinology, metabolism, and nutrition, and is the author of a book on soft tissue sarcoma. Dr Brennan received numerous honours for his contribution to oncology. Dr. Brennan’s interest, in addition to patient care and research, has been the development of young surgeons. The registration fee includes morning coffee, lunch, afternoon tea, reception on both days of the conference.